The pianist and composer Muhal Richard Abrams, 87, died on Oct. 29. He had been a member of Local 802 since 1977. Mr. Abrams was a co-founder of the Association for the Advancement of Creative Musicians and was highly respected in a variety of styles, including jazz, extended forms of improvisation and classical music. In the 1950s, Mr. Abrams wrote arrangements for King Fleming’s Jazz Orchestra. From 1957 to 1959, he played hard bop in Walter Perkins’ group MJT+3 and accompanied leading artists during their visits to Chicago, including Kenny Durham, Art Farmer, Hank Mobley, Ray Nance, Max Roach and Sonny Stitt. In 1961, Abrams began his foray into extended forms of composition and improvisation in his Experimental Band, which included Roscoe Mitchell and Joseph Jarman. 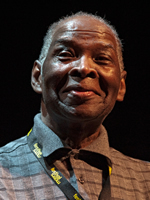 In 1990 he became the first recipient of the prestigious Danish JAZZPAR Award, and almost a decade later Chicago Mayor Richard M. Daley issued a proclamation declaring April 11, 1999, to be Muhal Richard Abrams Day. In 2010, he was selected for the DownBeat Jazz Hall of Fame. The same year, the NEA selected him to be a Jazz Master. Abrams’ compositional prowess is evident even beyond jazz. His Tranversion Op. 6 was performed by the Detroit Symphony Orchestra and his String Quartet No. 2 was performed by the Kronos Quartet. 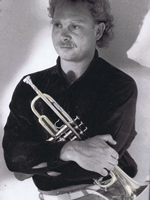 During the last 30 years, Abrams has taught jazz composition and improvisational classes at Columbia University, Syracuse University, Stanford University, Mills College, University of California in San Diego, the New England Conservatory in Boston, and the BMI Composers Workshop in New York City. He also taught internationally in Finland, Canada, and Italy. He is survived by his wife Peggy, daughter Richarda, sisters Dolores Abrams and Alice Rollins; brothers Milton, John, Michael and Mott Christopher; three grandchildren; and five great-grandchildren. Obituary information and text from the NEA and www.MuhalRichardAbrams.com. To report the death of a member, please call Avelon Ramnath at (212) 245-4802. Be sure to ask about the union’s death benefit. E-mail obituaries to Mikael Elsila. Survivors should also call the AFM Pension Fund at (800) 833-8065, option 2 to ask about any benefits.